On September 23, we’re joined by Dr. Julianne Adams Birt of Radiant Women’s Health. Dr. Julianne Adams Birt is a leading voice for women’s health. She has practiced as an ob/gyn for over 10 years and is the CEO and founder of Radiant Women’s Health since 2011. 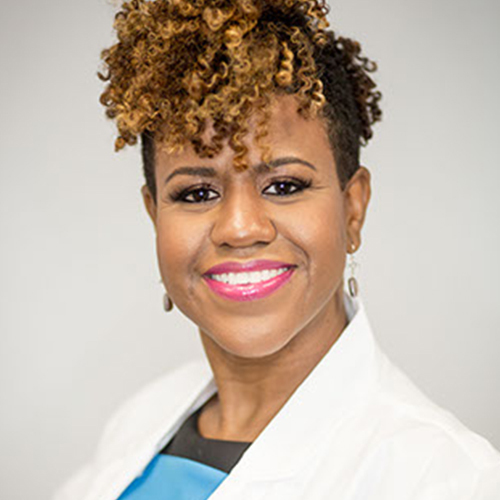 Dr. Birt moved south from Harrisburg, PA to matriculate at Clark Atlanta University where she obtained her Bachelor of Science in Biology, Pre-Med after three years of study. A graduate of Morehouse School of Medicine where physicians are trained to serve the underserved, Dr. Birt reaches women of all backgrounds in her professional and civic work. Dr. Birt has become an advisor for national pharmaceutical companies and is a sought-after leader in women’s health speaking to lay women locally but also at national conferences to other healthcare professionals. An enthusiastic proponent of advancing women’s sexual health, she stays on the pulse of new advances to enhance her patients’ overall vitality and wellness. In her leadership roles, she has previously served as Chief of the Obstetrics & Gynecology Departments at DeKalb Medical-Hillandale and Rockdale Medical Centers. Since 2013, she is the medical director at the Refuge Pregnancy Center in Conyers, GA. As part of the Atlanta Medical Association, Dr. Birt has been an active Board member, most recently installed as the 2017 President and an Executive Board member of the Heritage Fund, a foundation that helps deserving minority students fund their medical school education. Recognized by the Atlanta Medical Association for her contributions in 2015, she was named Young Physician of the Year and received an honorable President’s Citation Award for her community service involvement. She is a member of the American Board of Obstetrics and Gynecology, the Georgia State Medical Association and the National Medical Association. Dr. Birt is fluent in American Sign Language and for nearly twenty years has volunteered as an interpreter for the Deaf. Dozens of her patients are able to rely on her capability to speak their language without the aid of a third-party interpreting for them. Giving patients her best is her daily goal. Crediting her mother who inspired her servanthood and sisterhood, she is nearing twenty-five years in the illustrious Alpha Kappa Alpha Sorority, Inc.
Dr. Birt manages to juggle her practice, community work, leadership roles and will soon add author to her many titles. But her most revered are in the capacity as wife and mother. With a husband that pushes her entrepreneurial aspirations and a community servant, himself, they have a busy and blessed family blend with six children and one grandchild.